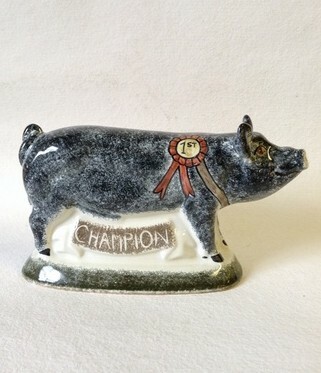 And so to our show pigs! 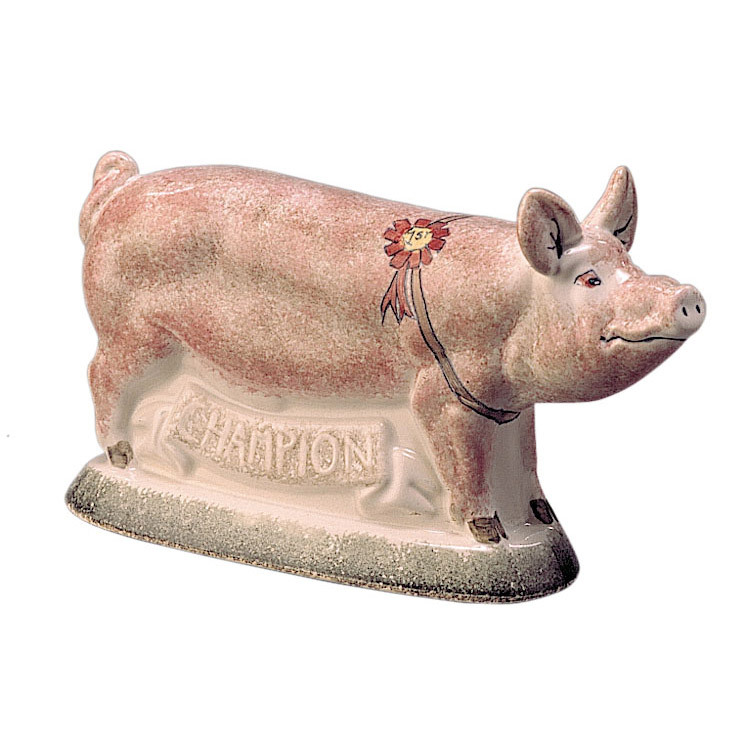 This sweet figure of a very pleased, indeed a winning, pig comes in Classic Pink or Charcoal sponge. 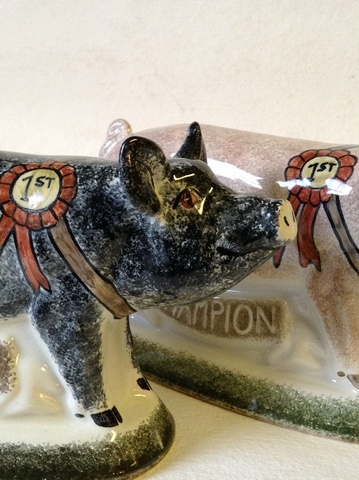 We can’t help but think he’s looking up at his proud owner, whilst sporting that smart 1st prize rosette. 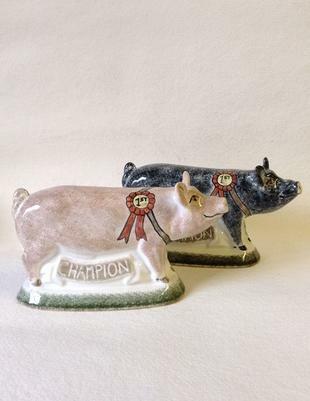 As with all our figures, these ceramic pigs are hand-made using traditional slip casting methods, with each piece then individually decorated by our team of talented paintresses. The rosette is a particulary tricky detail for them to get right, but it’s such an essential element on this figure, we hope you’ll agree it’s well worth the time and effort.